Three days on and the impression of my first ever visit to Donostia San Sebastian in Spain is still strong in my mind with images of divine food and great people. A flawless city adorned with a natural beauty and architectural treasures, from both the past and present as well as hints of the future. 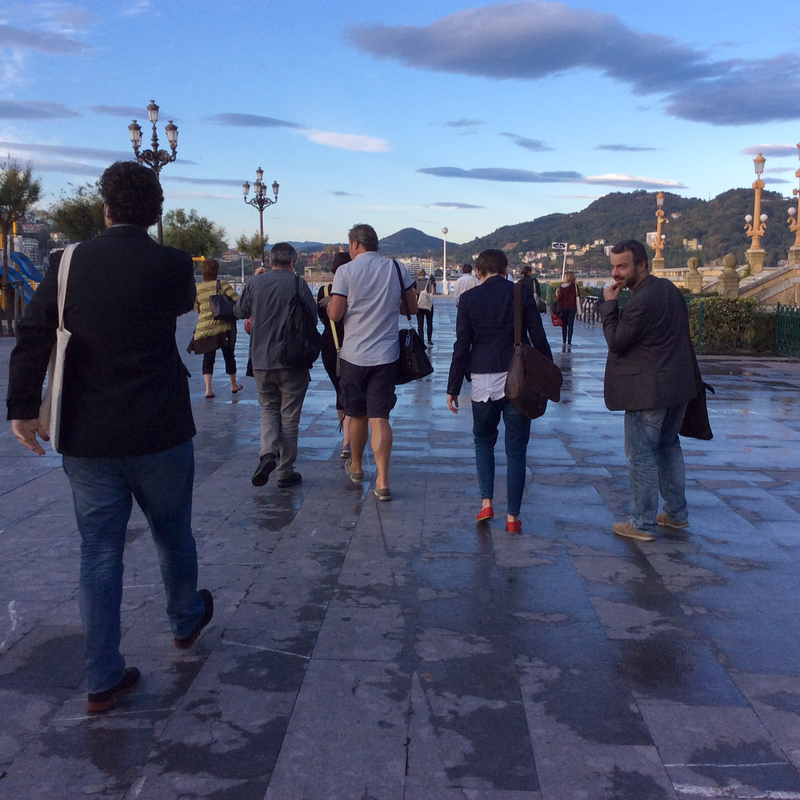 Away from the nostalgia of what I experienced, I am now cherishing the atmosphere my colleague Caldon Mercieca and myself found ourselves in last week at the European Capital of Culture (EcoC) meeting organised by the Donostia San Sebastian 2016 Foundation. Upon arrival at San Sebastian Airport we met Tiago Andrade from Guimaraes 2012. Yes, it is worth noticing how past ECoCs still participate in such meetings to provide insight and discuss post-ECoC practices with newcomers. The three of us were driven to a hotel in the city and that’s when we started to meet and greet the so-called ECoC ‘family’. The days passed quickly and we were kept busy and entertained with a well organised and well scheduled programme of activities. Our hosts, Eneko Garate Iturralde and Andere Santisteban made sure that everyone was looked after. They also led discussions, presentations and site visits, one of which turned out to be a major highlight for us. Tabakalera, the old tobacco factory in San Sebastian is undergoing major structural works and renovation and will reopen its doors next year as the new International Centre for Contemporary Culture. It is a space intended for artists and citizens alike. While serving as a major showcase for local artists, Tabakalera will offer numerous activities, through which the general public will be able to enjoy culture through learning, training, experiencing and feeding critical thinking and enriching creativity. The model the centre uses is one that we Maltese could learn from when planning our eventual contemporary art space. Cultural entities in San Sebastian are coming together on this major cultural investment: San Sebastian Film Festival, the Basque Institute Etxepare, the Basque Film Archive and Kutxa Foundation. Such synergies do make a big difference when major investment is needed for the benefit of the common community. The coming together of this ECoCs family was an eye-opener for me. I came across an existing and very dynamic European platform where, rather than bureaucracy and formalities, culture and its practices are discussed in informal approaches. Such an environment motivates initiative and collaboration. Rather than differences, the informal setup highlights what is common between the most varied European cultures. That is what made this short stay at San Sebastian a refreshing encounter. Politics should indeed bring people closer, facilitate communication and blur cultural boundaries. This was my first ever working experience outside the boundaries of my country and I felt very proud to represent my island and my hometown Valletta within this larger family. With our country’s rich and colourful culture, we Maltese can easily contribute on equal levels with our European friends. That’s a lesson learnt from Donostia San Sebastian. No matter the geographical contexts or historical stereotypes between countries, all people face similar difficulties and dream of similar achievements. Coming back to the office didn’t feel bad at all… seriously. I’m back at our city, the place where I want to keep investing energy in getting more people engaged in this exciting journey leading to 2018.